Enjoy nature all year round. 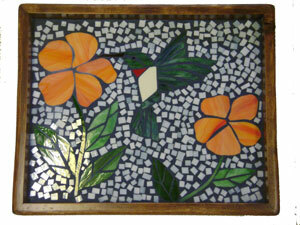 This hummingbird tray is made using classic mosaic techinques. This birds flight of fancy could be yours today.